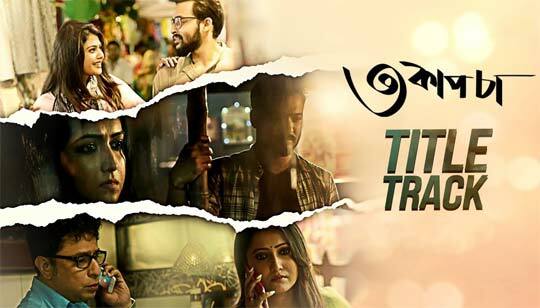 Teen Cup Chaa Lyrics In Bengali Title Track by Subho Pramanik from from the Hoichoi TV Movie. Bangla Song Lyrics written by Debaloy Bhattacharya. Starring: Saayoni Ghosh, Saurav Das, Rupankar Bagchi, Sampurna Lahiri, Aparajita Auddy, Rajdeep Gupta And Others. Teen Cup Cha will be three different stories directed by three directors including Mainak Bhowmik, Debalay Bhattacharya and Pathikrit Basu. Beje othey kon behala mon sure..